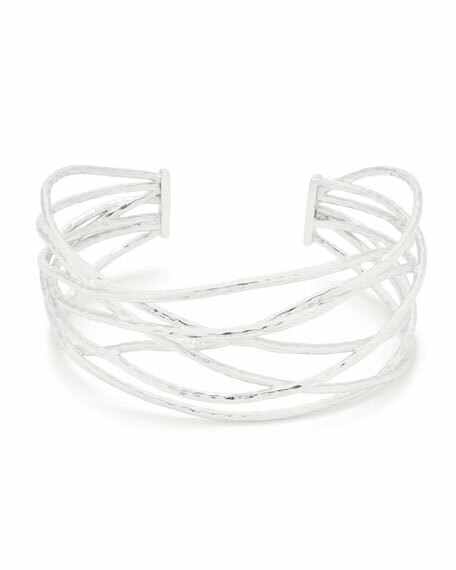 Gorjana "Lola" asymmetric sculptural cuff bracelet. Polished silvertone plated brass hardware. 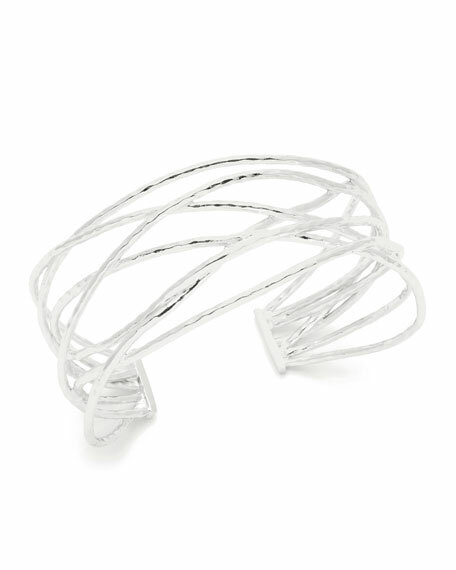 Intersecting hammered wires form open frame. Approx. 2.8" x 2.3" inner diameter. Approx. 1.3"H at tallest point. For in-store inquiries, use sku #2285586.